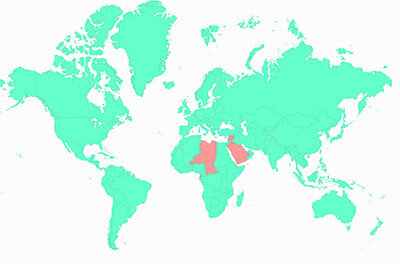 I’ve already rated Greece as the number one in my ranking Map of the most beautiful Countries, as well as one of the best in terms of Historically Rich destinations around the world. 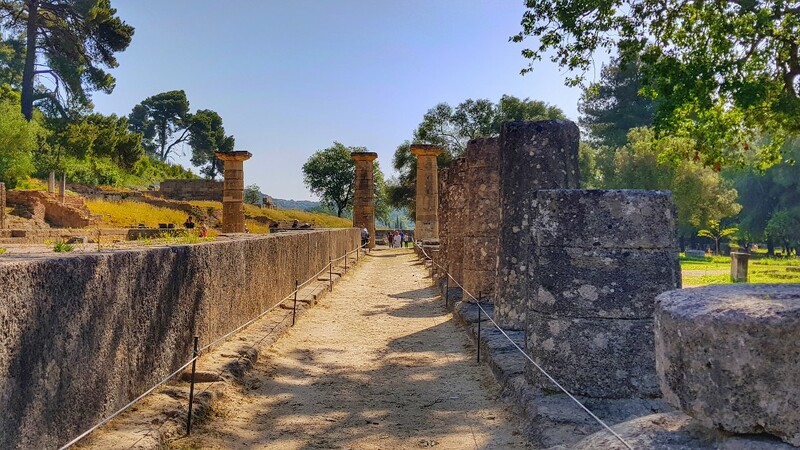 Ancient Olympia is one of those places that was on my list and this year it was time to pay it a visit. 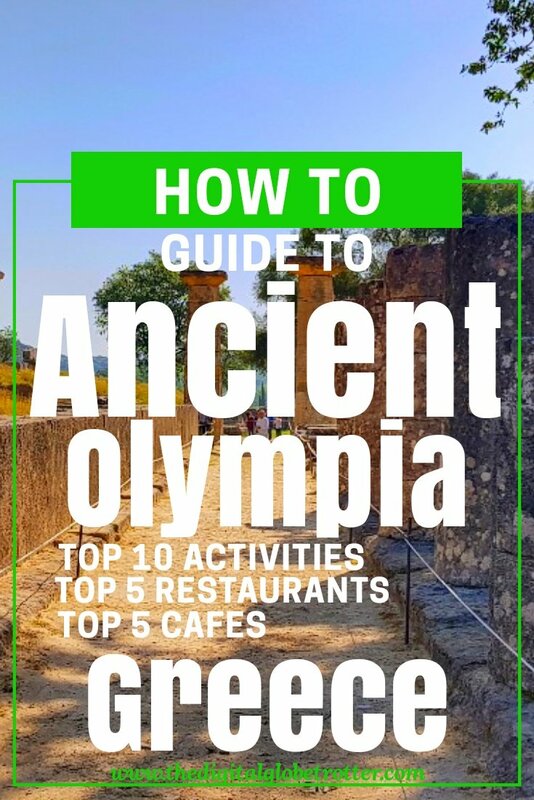 Birthplace of the Olympic games, Ancient Olympia was the chosen location to build the famous games which were hosted from 776 BC and have been played there for 1169 years before it was destroyed by an earthquake and later rediscovered by German archeologist. 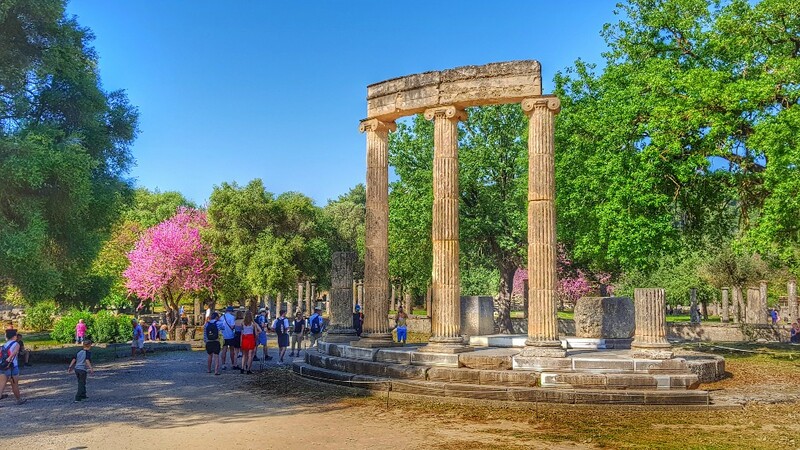 Since its opening to the public, it has become a popular touristic place to visit while in Greece, mostly for its significance more than what is left. 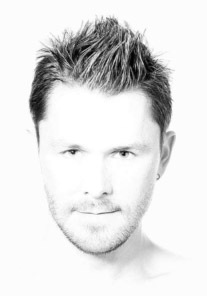 In fact, very little is left. It seems more like a graveyard of stones laying everywhere than an actual Olympic site. Nevertheless, it is impressive to imagine that such an important sports traditions have been hosted here for so long. 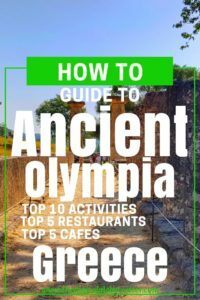 Several tours are available and I would recommend getting a guide to visit the area since just walking around with no indications can be very hard to understand what was there and what the site was used for. There are a few explanations panel here and there but with so little information on each one. 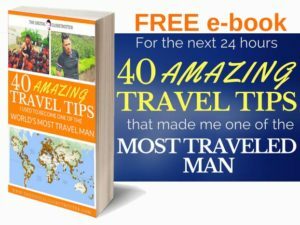 I guess the best way would be to buy a guidebook and explore it at your own pace. I went with an organized group because of time logistics and having half the group over 70, we were moving so slowly that we literally didn’t have time to visit more than half of the sites… The Historical Museum which is situated just a few meters walk from Ancient Olympia is another must visit while there. The most noticeable piece is the statue of The Hermes of Praxiteles (see picture at the end of this article). 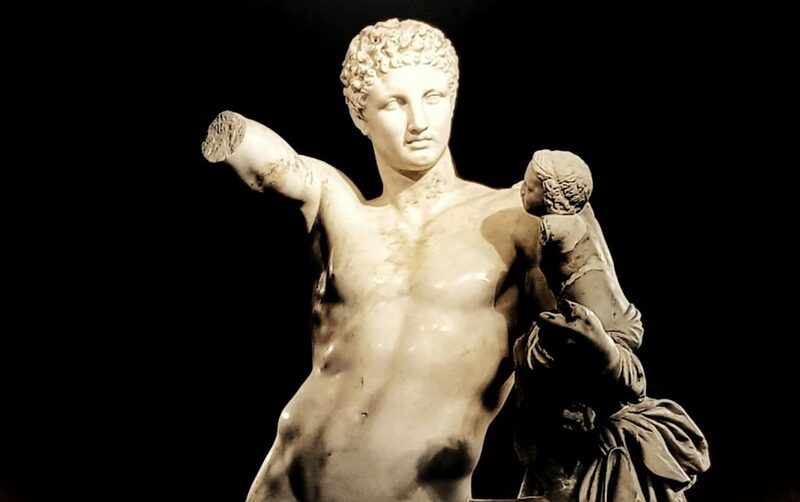 A grandiose piece of art, showcasing the Greek masculine body in all its splendor. Several other statues are showcased, and an interesting thing about this museum is that the big room is actually the same size and height as one of the main temples. So it gives an idea of perspectives. 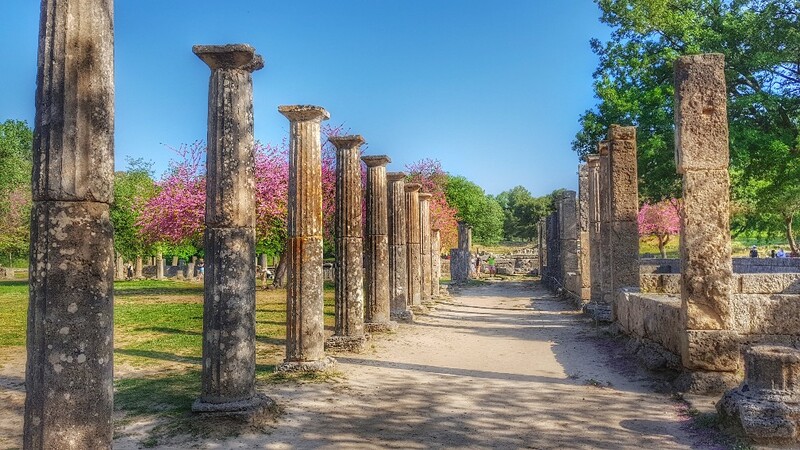 There is also a miniature model of how ancient Olympia looked like at the time. Katakolo is the city where cruise ships dock. It is a pretty boring town, built entirely focused on tourists souvenir shops and restaurants before ships leave port. With a population of only 600 people, it can’t be considered a destination, rather more like a transit port. However, some people have reported some interesting activities around Katakolo such as the Mercouri Winery, 40 acres of vineyards which is run by the fourth generation of the Mercoury family. For a couple euros, you can take part in a wine tasting of one of their 13 locally produced wine, as well as their olive oil. There is also Agios Andreas beach which can be reached by a little train from Katakolo and could be a nice way to spend an afternoon swimming in the Aegean Sea on a hot day! 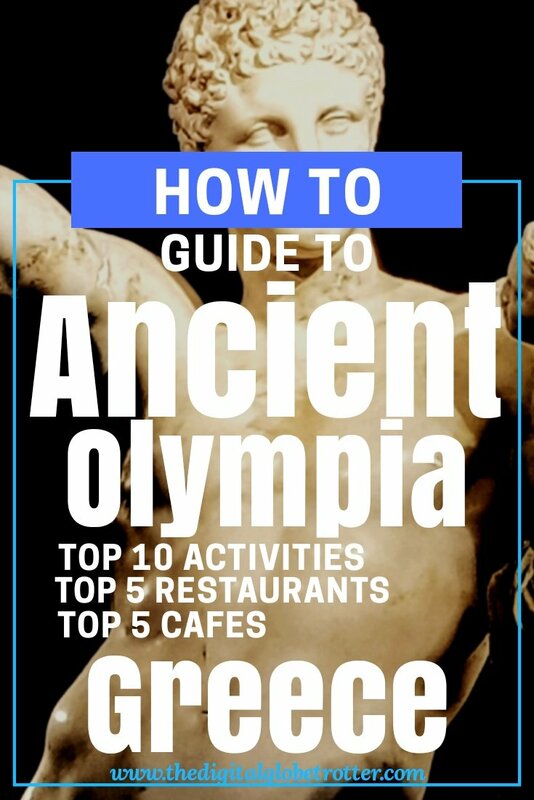 So an entire day should be reserved only for Ancient Olympus. 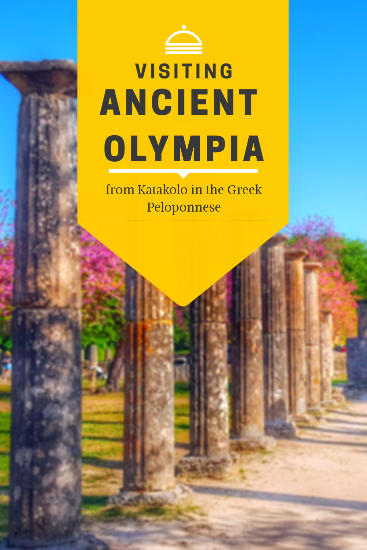 From the Katakolo Port, there are a few people selling bus rides to ancient Olympus for 10 euros (as of April 2018) just outside the cruise port. 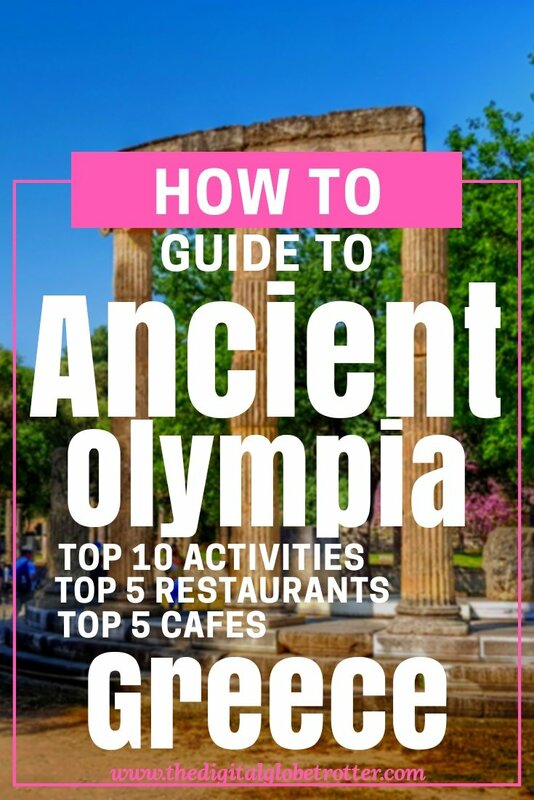 The entrance for ancient Olympus is 12 Euros, which includes access to the Archeological museum, well worth the visit. Some people could prefer renting a car which I have seen for about 30 euros so depending on the group size it could make sense. 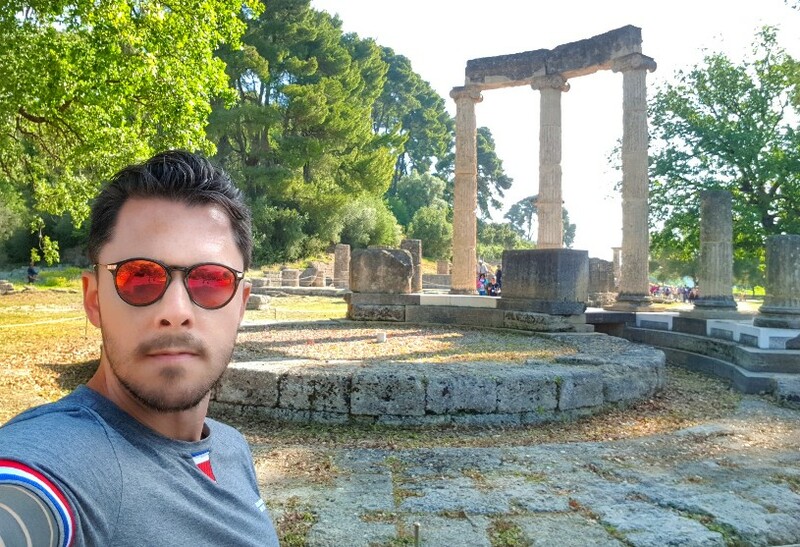 Tagged ancient Olympia, backpackerlife, budgettraveller, digitalnomads, europe, globetrotter, greece, Peloponnese, remotework, ruins, solotravel, worldmap, worldtravel.